Bob and Sam were hanging out, reunited at a friend’s bachelor, throwing out Simpsons quotes, when the conversation turned to the famous “Homer at the Bat” episode, where Homer joins the power plant softball team, only to have Mister Burns take over as manager, and hire a bunch of professional ringers. 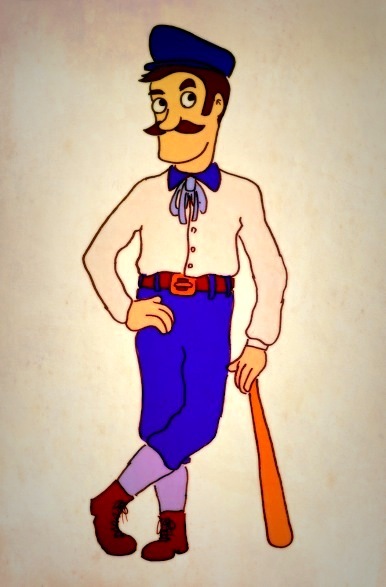 What if there were a show about a motley team old-timey baseball team, and a cantankerous, Burns-esque team owner. We liked the idea a lot. Before we knew it, we were collaborating via email, phone, and FaceTime, honing in on the characters, world, and concept that eventually became BUSH LEAGUERS. We went through a number of major revisions of the pilot script. The first version was a simple and episodic story about red-headed ringer Rube’s journey to try out for his favorite New York baseball team, the Brooklyn Bridegrooms. Wanting to tell a fuller narrative, and feature the more of the cast, we overcorrected, and wrote a draft where Rube’s quest to get on the team was overshadowed by an overcomplicated, overlong plot about the team’s senile, industrialist owner, Cornelius Van Der Klam, fighting off creditors, a rival team owner, and Police Commissioner Roosevelt. It had its moments, but the script was too long, and we wanted to focus more on the “heroes” of the show, the players, rather than the cantankerous team owner. We finally decided to simplify the pilot script, by losing the focus on team owner’s various difficulties, refocusing the story on the players, and simplifying the story into one of the rejuvenation of a disgraced and despondent basebball team and its fans. We also decided to bring another character to the fore: Skip Lapwhistle. Skip is a woman disguised, (someone obviously), as a man, and we thought that made her an especially interesting and unlikely lead character for the series. Skip sacrificed her identity to be a part of a game that she loves. When it looks like her team is going to be shut down by its greedy, uncaring owner, she goes to great lengths to keep the team out of trouble, and hold them together. In the pilot episode, she catches on to greedy team owner Van Der Klam’s plot to shut down the team, and burn the stadium down for the insurance money, and needs to figure out how to stop him. While we worked on the script, we thought that some visual aids to introduce the unusual characters and world might help generate interest in our quirky concept. We first created a pitch bible, and eventually decided to produce a fully animated short as well. To create the art, we turned to Paul Tuo Tsui, a character and background designer whose quirky, artistic, and appealing style perfectly matched the sensibility of our show. Paul did an amazing job at translating our rough sketches and character descriptions into designs that captured the spirit and tone of the show, and turning them into beautiful art and designs. These designs, along with some additional art illustrating the world, and some concepts for future episodes, were invaluable tools in helping us communicate the concept, tone, and story of our show in our pitch bible. Neither of us have any professional writing credits to our names, and so we thought that producing an animated short would help further communicate the concept and tone of the show, and generate some interest. The first step towards making the short was writing a script. After a number of drafts, we decided that “Team Photo” would be a great, natural way to introduce the characters and world of the show. In “Team Photo,” team owner Van Der Klam tasks star player Rube with rounding up his missing teammates for the annual team photo. To do this, Rube must run out to the city and head to the places where his teammates most likely would be. In doing so, we get a glimpse of the world of the show that exists outside of the stadium, and we see our characters participating in activities that illuminate their personalities. 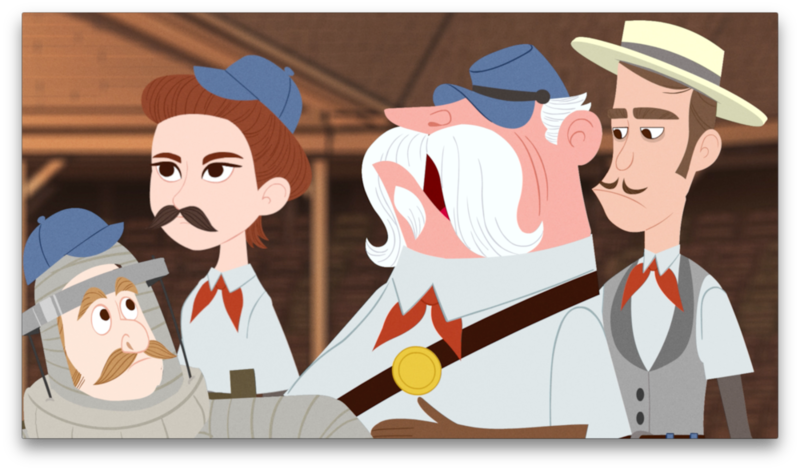 Click here to read the script for "Team Photo"
With no experience in animation, we looked for collaborators whose work was in line with the tone of the show, and found it in animator and director John Dusenberry. 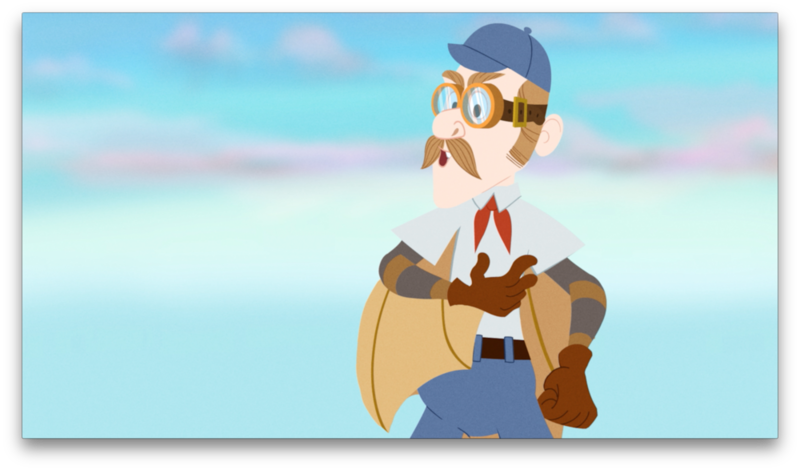 John’s web series, DUKE OF FANCY, which he wrote, directed, animated, and voiced on an impossibly tight schedule and budget, captured the irreverent tone and sophisticated visual style that we wanted to capture in our BUSH LEAGUERS short. John’s Cal Arts classmate Nick Butera joined the team as Line Producer, and together we built a team of amazing collaborators who helped bring BUSH LEAGUERS, TEAM PHOTO to life. We could tell that Animator and storyboard artist Zach Ramirez totally got the tone and sensibility that we were going for with the script when we first talked to him on the phone. The quality his work lived up to the level his enthusiasm. He hit all of the comedic beats, and started preproduction off on the right foot. 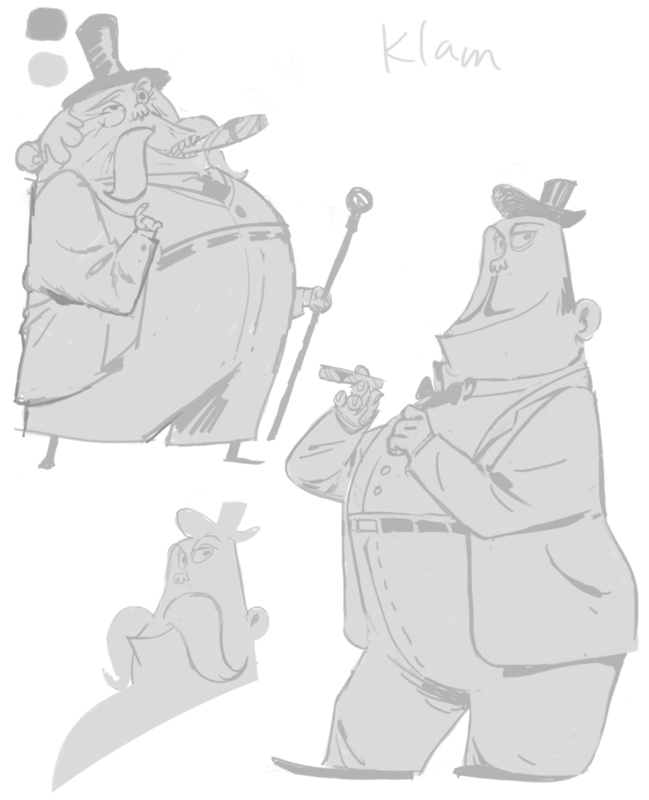 We were incredibly fortunate to have Brigette Barrager as our character designer for the short. Brigette is a former Cal Arts classmate of Director John Dusenberry and Line Producer Nick Butera. She is an incredibly talented character designer and illustrator, with a number of bestselling children’s books under her belt. Her whimsical, sophisticated, illustrative style was just the right fit for this project. We decided that we wanted to stick with the direction of Paul Tuo Tsui’s original character designs, so Brigette’s work reflects those renderings translated through her own whimsical style, and rendered in a way that would allow for straightforward rigging and animation in Adobe Animate CC. The use of the original concept art as a guide meant that Brigette’s talent as a character designer went underutilized. Fortunately, we created a few new characters for the short, and her designs for these characters allowed her creativity to shine. 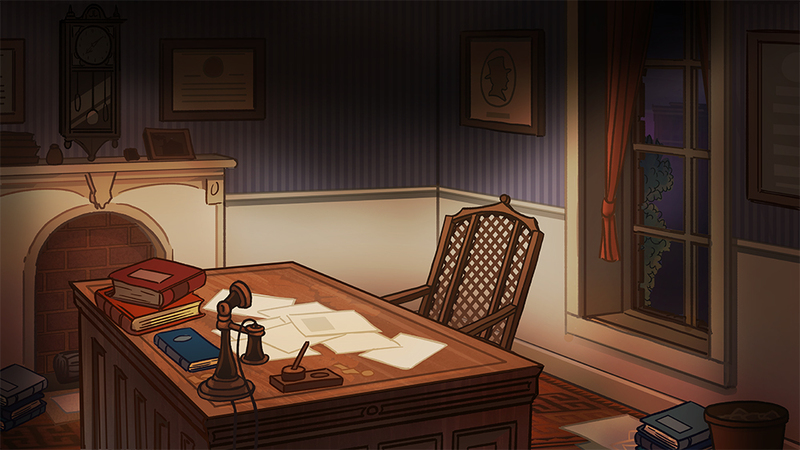 We were also very lucky to have artist Tim Szabo on board to handle the backgrounds. Tim, a collector vintage photographs, was excited about delving into the details of the turn of the century setting of the short, and it shows in his vibrant, detailed work. Tim relied on reference imagery, and his own imagination to inspire the background art. The stadium itself is a conglomeration of a number of drawings and photographs of late nineteenth and early twentieth century baseball stadiums, particularly Washington Park, one of the original homes of the Brooklyn Baseball Club, and the original Polo Grounds in Manhattan. Tim drew one large, panoramic background for the stadium interior that we were able to crop in and pan around for all of the shots set inside the stadium. In a world without time and budgetary constraints, we would have loved to have original background art for each shot and camera angle, but the wide angle panorama proved to be an effective solution to getting many shots, almost half of all of the shots in the short, out of one background. We were able to get some extra bang out of Tim’s backgrounds by importing breaking down his layered photoshop files in after effects, and making rudimentary 3D models of his backgrounds in Adobe After effects. We also recreated a couple of specific, noteworthy photographs of Brooklyn and New York in the late nineteenth century as background art. 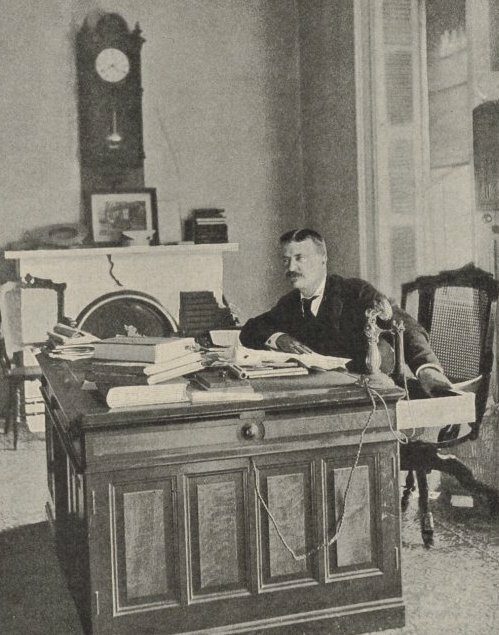 We used this illustration of the New York Municipal Police Department headquarters, and a photo of Roosevelt inside his Police Department office, as models for the art for the Roosevelt scene. We consulted a number of sources for visual research for this project; from art, to photographs, to blogs. 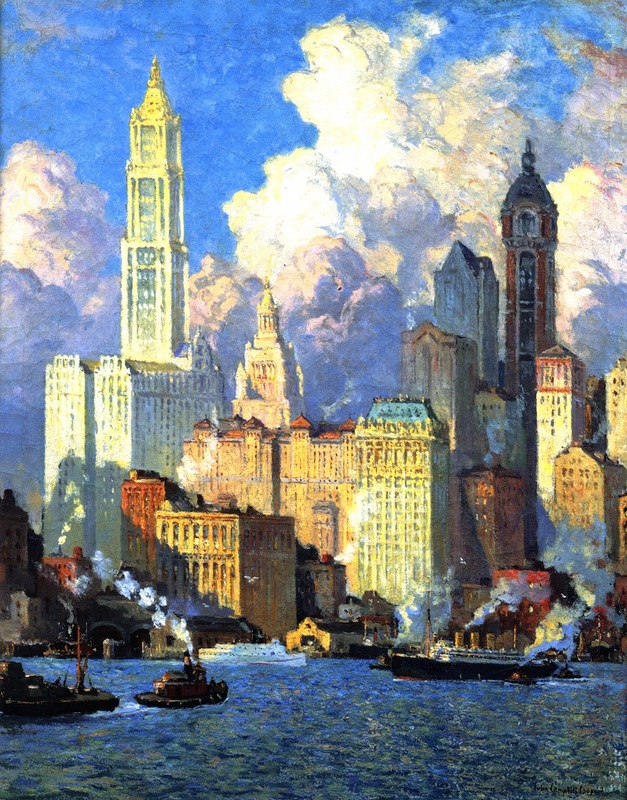 The paintings of Colin Campbell Cooper were of particular inspiration. 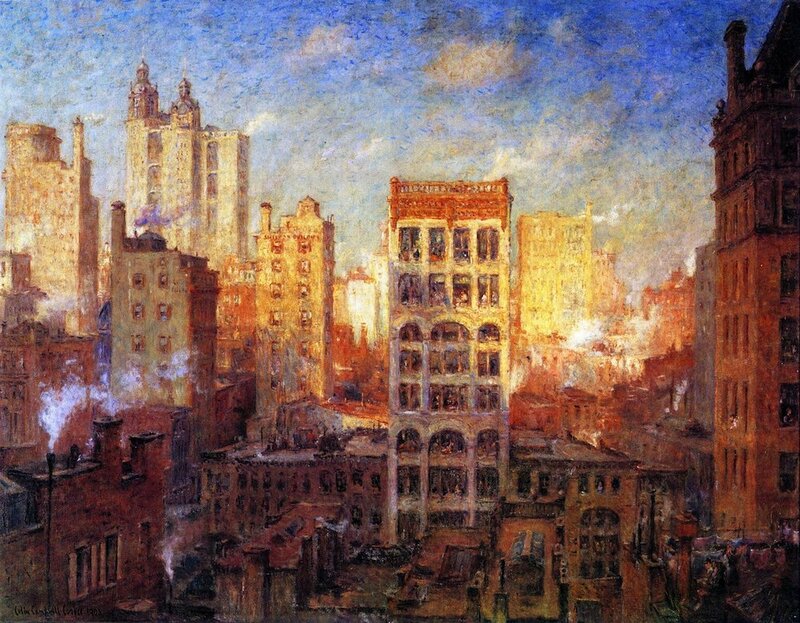 There are plenty of black and white photos of nineteenth century New York, but Cooper’s vividly colored depictions of the gritty, atmospheric skylines and streetscapes of turn of the century New York pushed the color scheme of our own art in a similar, vivid direction. The New York history blogs Ephemeral New York and Bowery Boys History were especially great resources for general information, and research on specific topics, like night soil carts and nineteenth century New York’s seediest bars and dance halls. 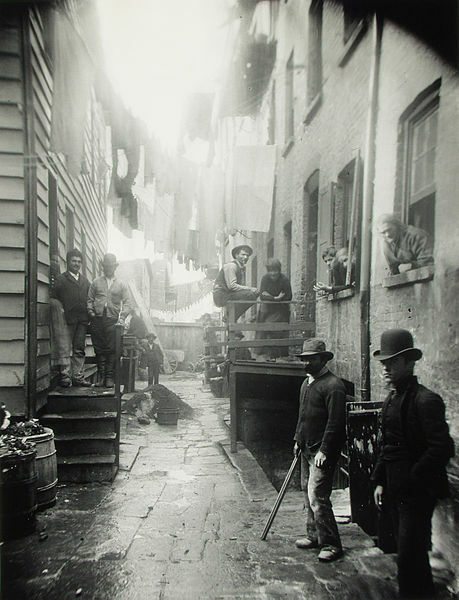 Ephemeral New York published a gorgeous book New York during the Gilded Age with lots of great information, and beautiful photographs. We got a copy for each of the team members to get them in a nineteenth century state of mind. Whether in a live action film, or in animation, the quality of the performances make or break a piece of filmmaking. Even the highest quality animation can be ruined by poor voice acting. With that in mind, we asked around among our friends for introductions to a casting director or associate with experience casting for animation. We wanted the quality of the voice acting to meet, if not exceed, the quality of the art and animation. We weren’t looking for anyone fancy or famous. Just professional actors who would deliver solid performances, sell the characters, and contribute to the notion of BUSH LEAGUERS as a polished concept that could appear on a network or a streaming service. That said, we ended up with an incredibly talented and accomplished cast that could carry an actual television show, let alone a proof of concept short. It helped that we have one friend who is a great, accomplished actor who we thought would be great for a role. 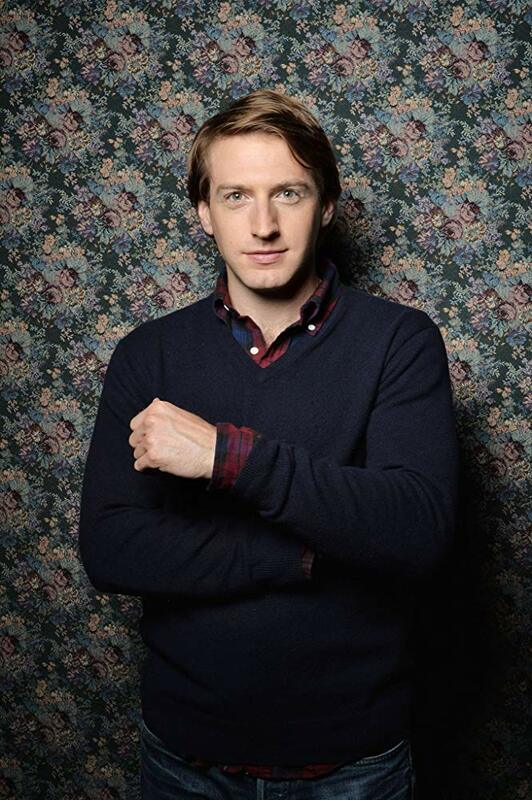 Bob’s friend Fran Kranz’s roles run the gamut from serious turns on the Broadway stage, such as in the recent Broadway revival of DEATH OF A SALESMAN, to heightened, comedic performances, like in Joss Whedon’s television show, DOLLHOUSE, and the horror horror comedy film CABIN IN THE WOODS. Fran also recently delivered a hilarious performance as the vein actor Bottom in a modern retelling of Shakespeare’s A MIDSUMMER NIGHT’S DREAM. We thought that the comedic arrogance that Fran brought to his performance as Bottom was just what we needed for the role of the vainglorious Baxter Van Der Klam character, and we were honored when Fran expressed enthusiasm about taking the role on. Our friend Vikram, a manager at a prominent talent management company, played an outsized role in helping us build our amazing cast, when he offered to run the project by his clients, and by some of his associates and their clients. For the role of Rube Shaw, Vikram suggested his client Will Brill. Will is an accomplished stage and screen actor, who had most recently appeared in the role of Scott Brown in Netflix’s THE OA. Coincidentally, he also recently performed with Fran Kranz on Broadway in YOU CAN’T TAKE IT WITH YOU. Will brought an earnest goofiness to Rube that was absolutely perfect. His performance helped us further hone in on Rube’s voice. He even ad-libbed a line in the voice record that we liked so much that we ended up including it in the short. When we first met Will early on in the casting process, he mentioned that his wife is a professional voice actor, and so we were very excited when she agreed to play the all too small role of Skip Lapwhistle. Skip makes a brief appearance in the short, but we have since greatly expanded her role in the pilot episode, and the series. Skip winding up for a punch with Rube in the background. We were absolutely stunned when Vikram’s colleague Jane suggested Tony Award-winning actor Jefferson Mays for the role of senile, belligerent team owner Cornelius Van Der Klam. Back when we were first developing the concept for the show, Bob saw Jefferson’s hilarious, multi-faceted Tony nominated performance in A GENTLEMEN’S GUIDE TO LOVE AND MURDER. One of the many roles that Jefferson plays in that show is the old, out of touch British Lord Aldabert D’Ysquith, whose persona is very similar what we had in mind for the miserly Van Der Klam. Jefferson delivers an amazing performance as Van Der Klam, and he could not have been nicer or more professional during the voice record. He even went as far as dressing up as his character, complete with a fake mustache to aid his performance by affecting the way that he enunciated. Pictured Left to Right: Sam Fletcher, Jefferson Mays, Robert McKeon. Not pictured: Jefferson’s fake mustache. Since we were on such an unintentional role with building an accomplished cast, we decided to just go for it when looking for someone to play the role of Police Commissioner Roosevelt. We wanted someone who could communicated Roosevelt’s intelligence and over-the-top machismo in a comedic and authoritative way, and found it in Patrick Fabian. Best known for his turn as brash attorney Howard Hamlin in BETTER CALL SAUL, we thought that he would be the perfect Roosevelt. We reached out to his representatives, who were justifiably skeptical about us and our project. We couldn’t believe when he said yes, nor can we be more thankful.. Unlike his most famous character, Patrick was a total gentleman in person, and generous with his time and talent. 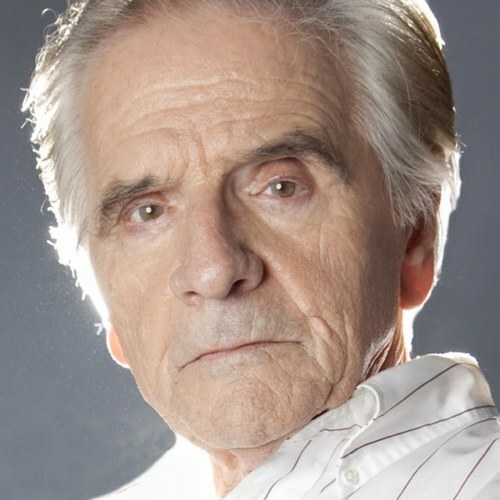 For a character with an Irish name like Mulholland, Bob couldn’t help but turn to a former collaborator, acclaimed Irish actor Aidan McArdle, who performed the lead role in Bob’s short film WIFEY REDUX. Aidan graciously agreed to take on the role of Mulholland, recording the lines remotely, in a Dublin recording studio. He brought an interesting twist to the Mulholland character by performing him with the simmering, smarmy arrogance often found in the performances of of the great Irish character actor Cyril Cusack. 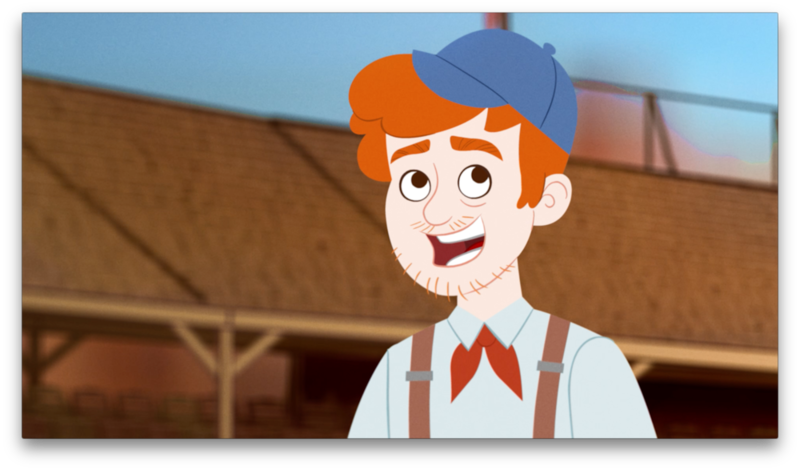 We turned to casting website LA Casting to fill the role of cantankerous manager Ol’ Mulesides Porter, and ended up finding a voice actor with an impressive animation resume, William Knight. William was exactly what we were looking for for our old, irascible team manger. 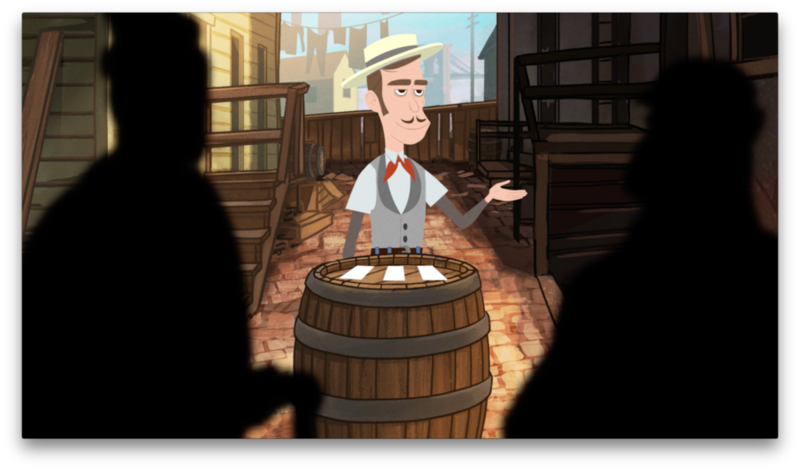 Once we selected the winning takes from the voice records, we were about ready to send the project into animation. But first, Editor Nick Butera took the storyboards and the voice record selects, and edited together an animatic so that we could sort out any timing, staging, and other logistical issues. Once the voices were recorded, Nick Butera edited the boards into an animatic. We spent time working out the kinks in the storytelling, timing and stage direction with the animatic so that we knew how the scenes would work once we sent them to animation. At around the same time, Nick animated a quick test to illustrate how Brigette’s models would look in action. It was incredibly exciting to finally see our characters brought to life for the first time. 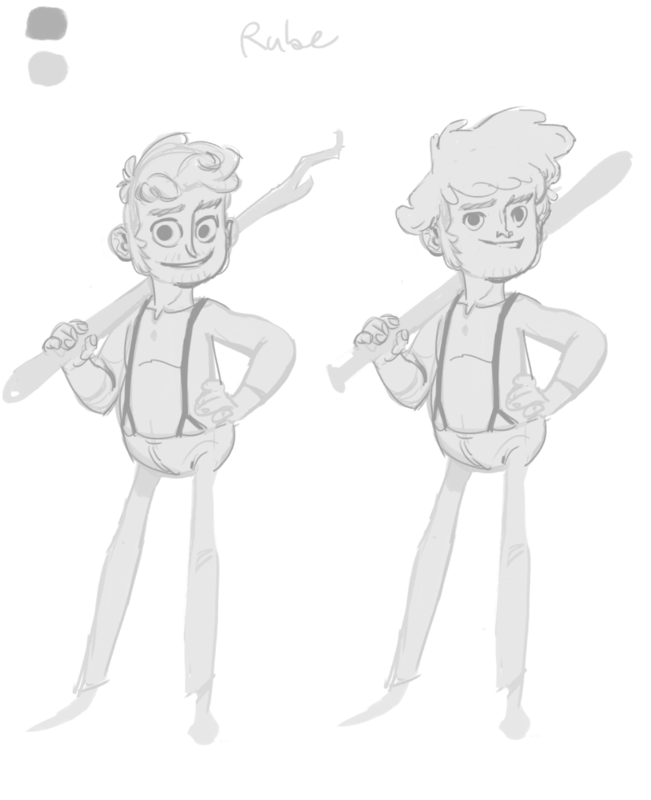 After a couple of weeks, we had a first pass on much of the animation. As you can see, much of the animation is still rough, the timing of the animation and edit still needs weaking, and many of the backgrounds are unfinished. It can be disappointing to see a project in such a rough state, but rough edits like this were a good way to gauge progress, and determine what changes or tweaks were necessary as we moved forward. We had been thinking about the music for a long time, and once we finally had a rough cut to give the composer, we were excited to get going on the music. The composer, Kevin Seaton, is a good friend of Bob’s who is an active producer and composer of music for film, tv, advertising, and recording artists. We wanted to avoid the “obvious” Sousa-esque marches and Joplin-esque Ragtime influences for a score to a turn-of-the-century period piece. We thought that being too “on the nose” with the m music might make the short seem like a one-off skit. Instead, we wanted to aim for something that alluded to music from the period through instrumentation and melody, while also speaking to the gritty, urban world that the show takes place in, to give the music an identity all of its own. The driving beat and piano driven melody of “Shackled and Drawn” had a big influence on the sound of what would become the theme song that plays over the opening title of the short. Scott Ganary and his awesome team at 740 Sound in Playa Vista, CA did the sound design and mixing, and they did an amazing job. 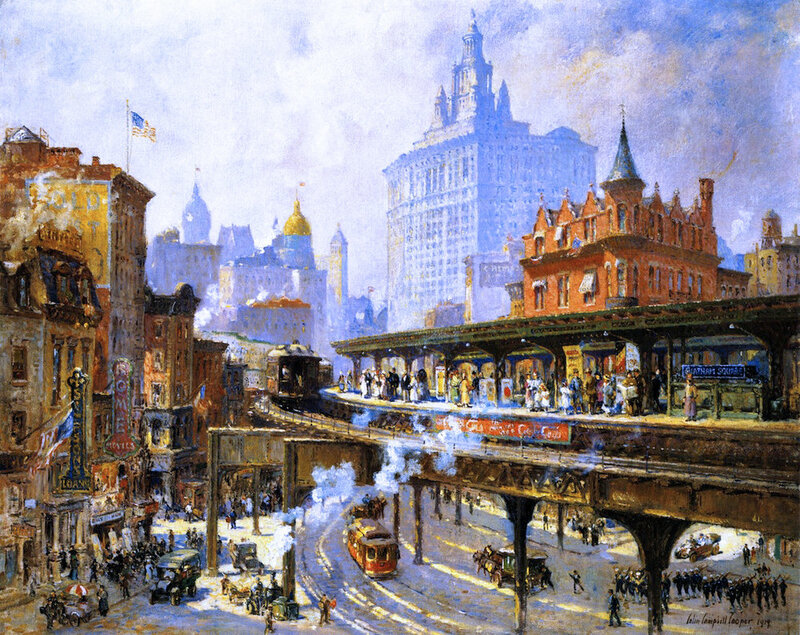 They went the extra mile, and researched the atmospheric sounds that one would have heard on the streets of turn of the century New York, from horses clopping on cobblestone streets, to steamship whistles from the river echoing in the distance. We opted for an approach to sound design that was grounded more in reality, to what someone might actually might here in a particular environment, rather than filling scenes with exaggerated, cartoony sound effects. This way, the focus would be on the dialogue, and when we did go for a heightened sound effect, the effect would really stand out, and have extra impact. This is the same philosophy to sound design used in many adult animated cartoons, including THE SIMPSONS, SOUTH PARK, and RICK AND MORTY. That was just a brief overview of the development of the concept, and the production of the short. If you have any questions, feel free to email us at the link below.